This tutorial has been completely revised. 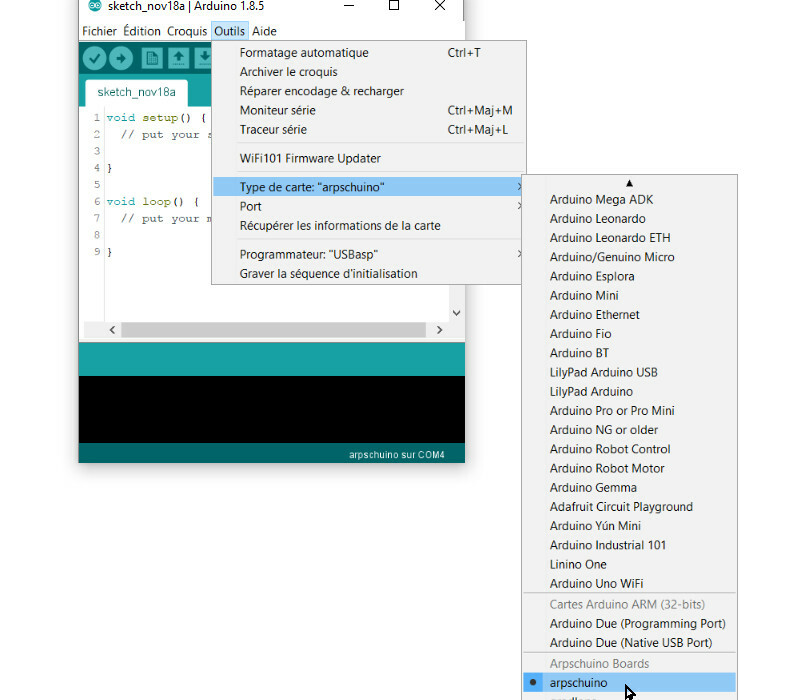 Since December 2017 the programming has been greatly simplified with the creation of an arpschuino core, in other words the arpschuino boards are directly recognized by the Arduino software, the necessary libraries are automatically imported and all the specific codes are found in the example codes . The USB connection is done via a USB / Serial adapter. 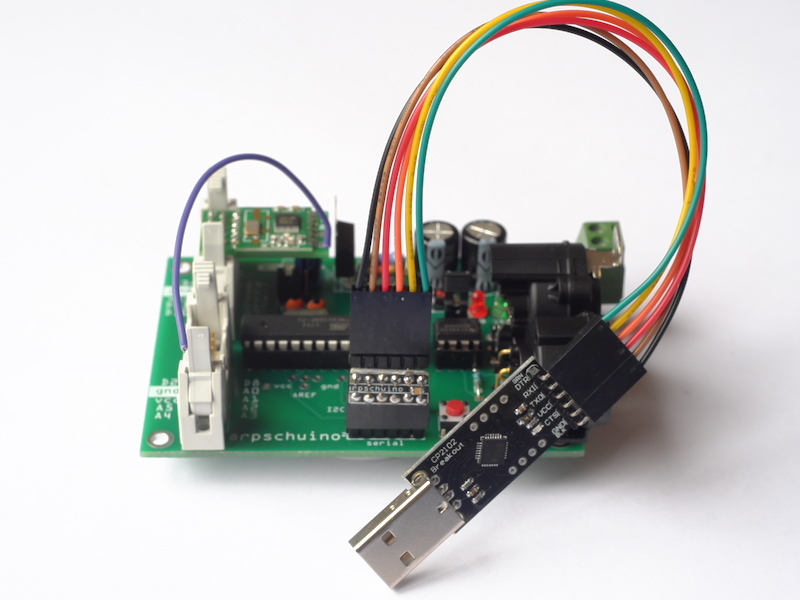 Although we do not intend to market tier hardware, we still offer this programmer to simplify your steps and because it is perfectly suited to the arpschuino. It runs at 3.3v and will not damage arpRF, for example. 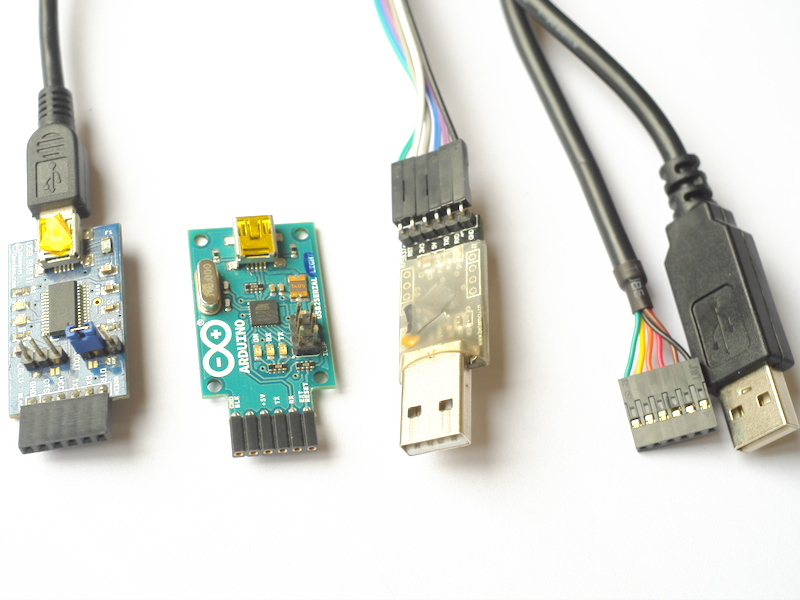 If you already have an Arduino compatible USB / Serial adapter (USB BUB, arduino USB 2 Serial, CP210x USB to UART Bridge ou FTDI TTL-232R-5V for example), you can of course use it. 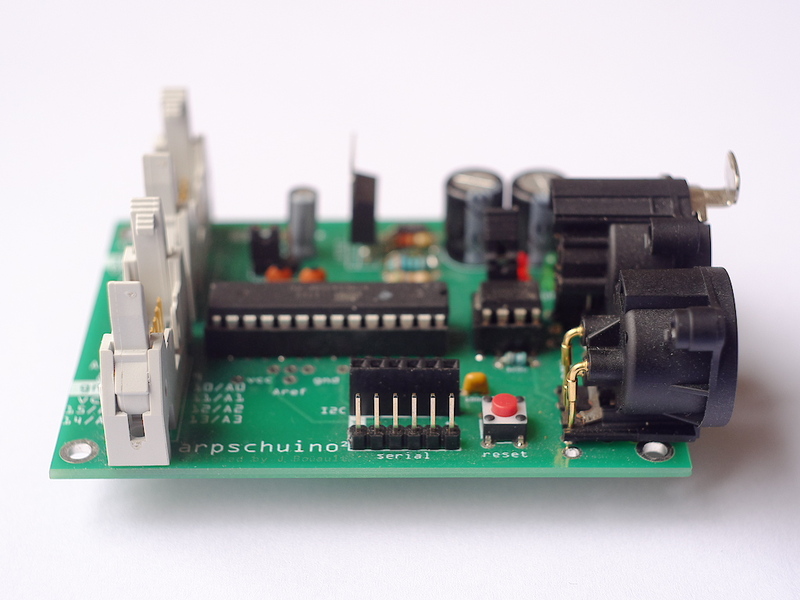 We can also, as we will see below, use an arduino uno to program the arpschuino. For this tutorial (december 2017) we choose the latest version, 1.8.5. Choose a version based on your OS, higher than 1.6.2. Install it. In case of difficulty, see here. 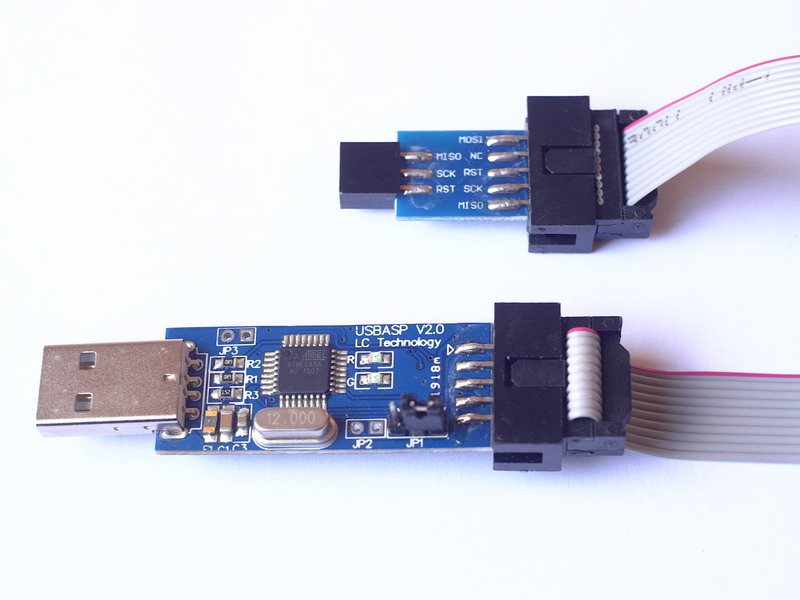 The USB / Serial adapter requires the installation of drivers. 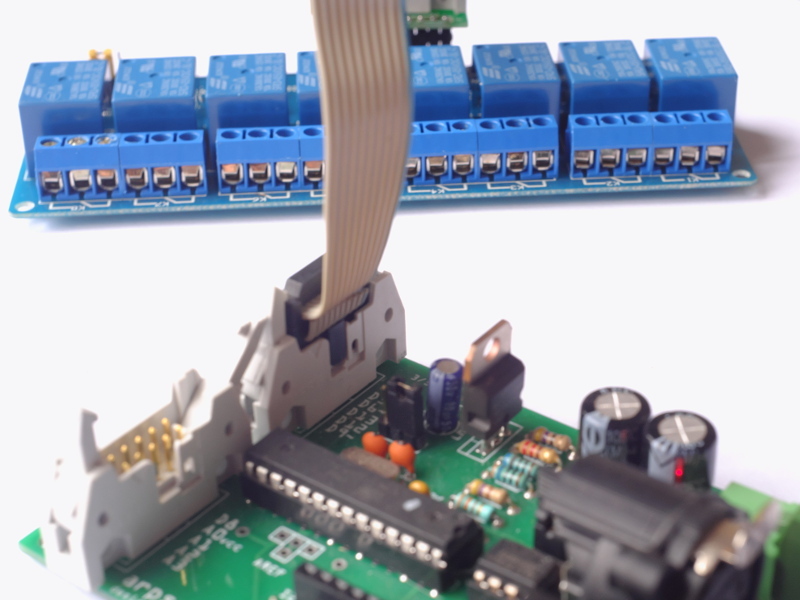 For our programmer or any other CP210 based programmer, the drivers are available here, choose the default version. 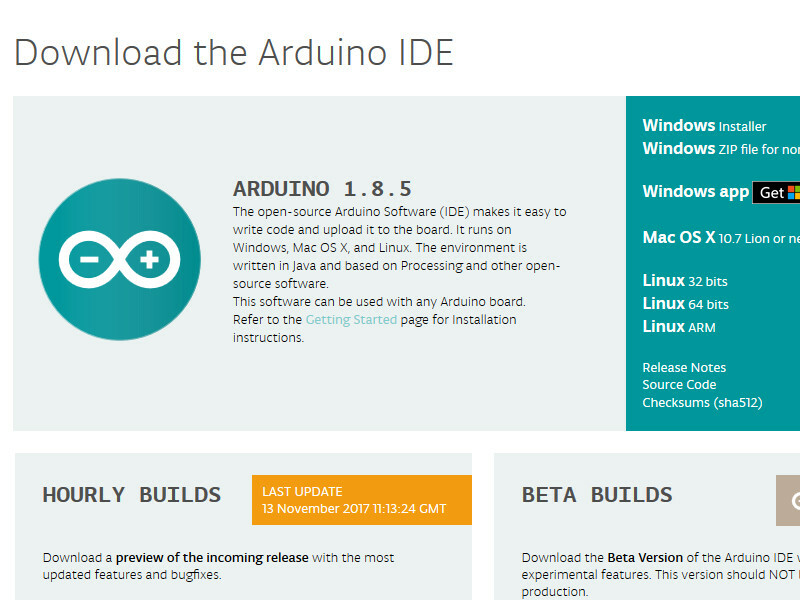 Reboot your computer and launch the arduino IDE. Here is a new tutorial ! It's a big tutorial about the wilulu, we tried to be as complete as possible and to put some examples. As always, do not hesitate to tell us if you find errors or things that do not seem clear to you (arpschuino@gmx.fr). And thank you to all the "Moccards team" who welcomes us. A new update to the arpschuino core ! 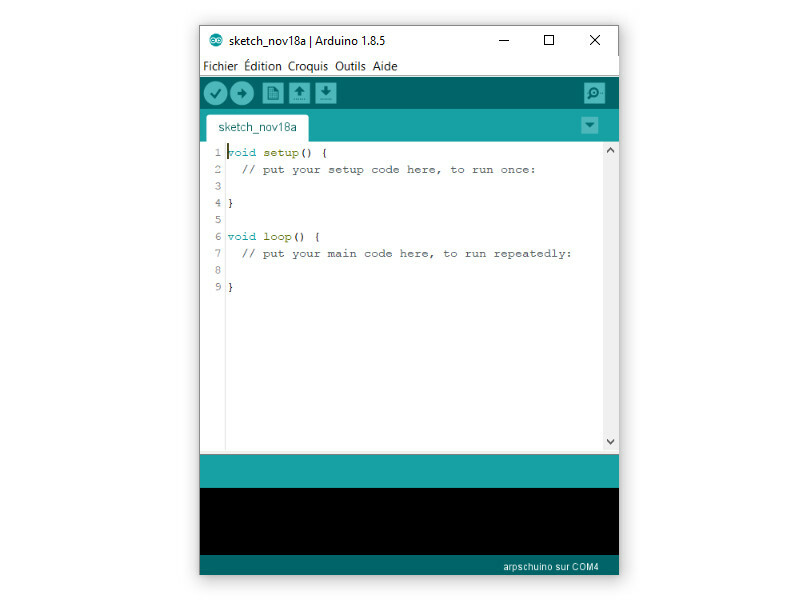 See the previous post to apply this update from the Arduino software. This is a fix, some examples no longer compile because of a syntax error (calcul_freq instead of rf12_calcul_freq). In order to preserve the li-ion batteries, the wilulu goes to sleep mode if the supply voltage drops below 2.8v. This should prevent you from damaging accumulators by forgetting to remove them after a performance. The information on this update is available on this page.. The library and the arpschuino core have been updated. 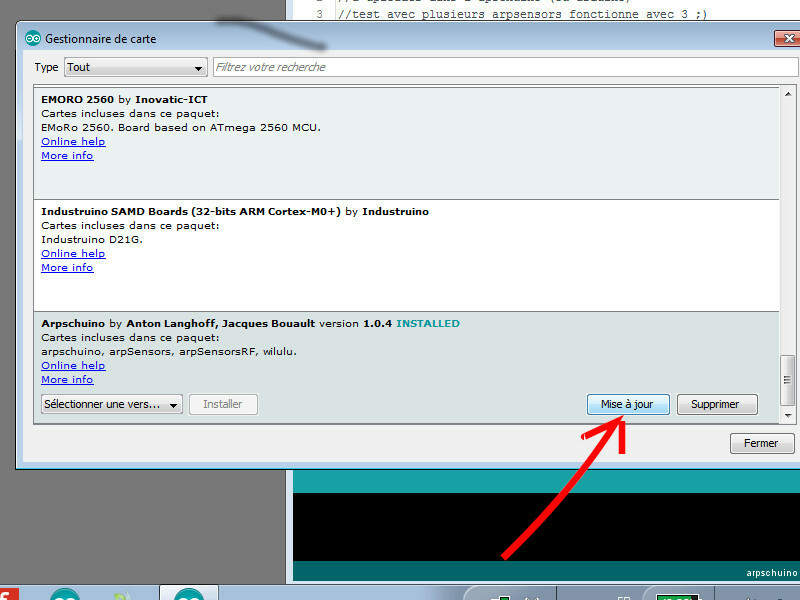 To apply this update from the Arduino software, click on Tools / Board / Board Manager then, if the core is already installed, find it in the list and just click on Update . In program, new features and possibility to change the transmission/reception frequency of radio boards equipped with an RF12. The examples have been reviewed in this sense. 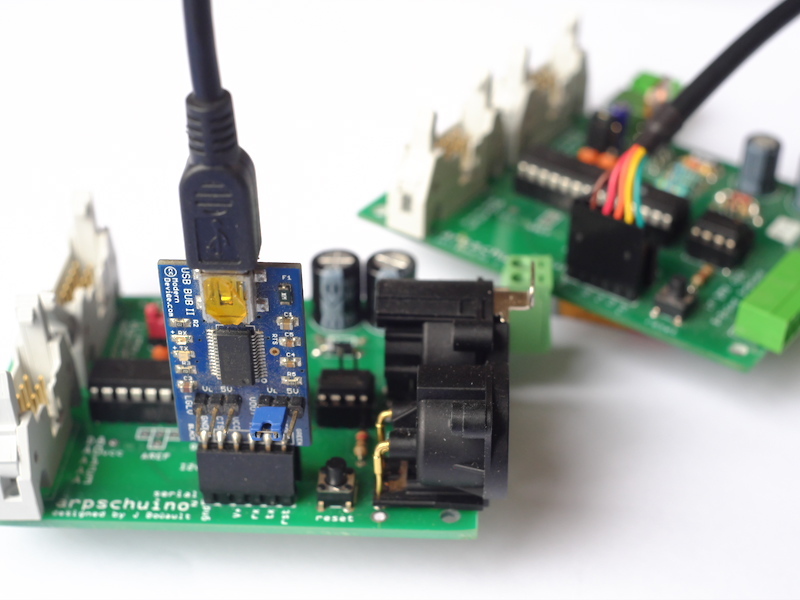 New example codes also with the source code of the arptefact::transceiver and aprschuino2PWM_high_resolution which allows to benefit from the fine gradation (12 bit) directly on 2 outputs of the arpschuino. All the information on this update is available on this page..
A wilulu tutorial is in preparation, the method for changing the radio frequency will be explained in detail. Do not hesitate to contact us if you have any questions: arpschuino@gmx.fr. Your browser is not compatible with HTML 5, sorry. Thank you to everyone who trusted us in 2018. In addition to our different boards, we have decided to offer you some devices boxed, ready to use : the artefacts. Here is the first of the series, the artefact::transceiver. 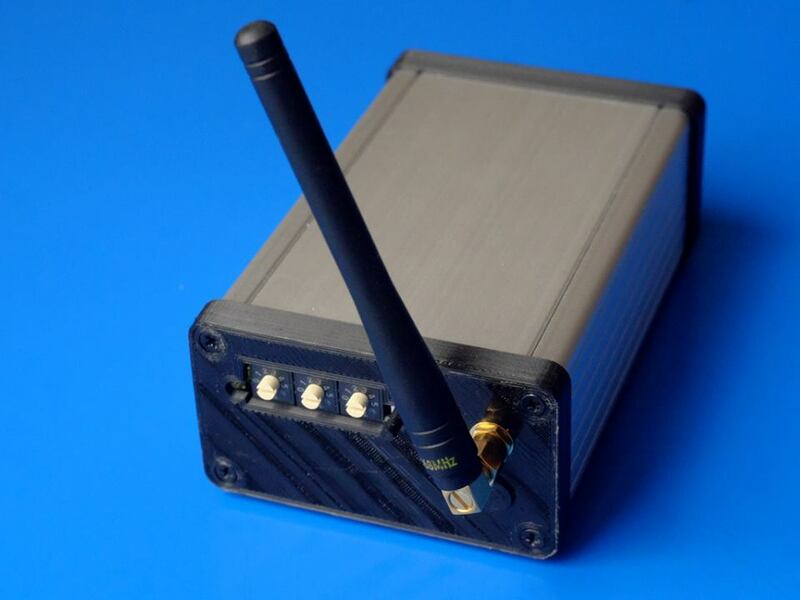 It is a transceiver to use with our wilulus , arpsensorsRF or with a second artefact::transceiver. We are already looking at the design of other members of the artefact family. If you have any ideas, suggestions, let us know: arpschuino@gmx.fr. You are many for this early season to trust arpschuino. Thank you ! 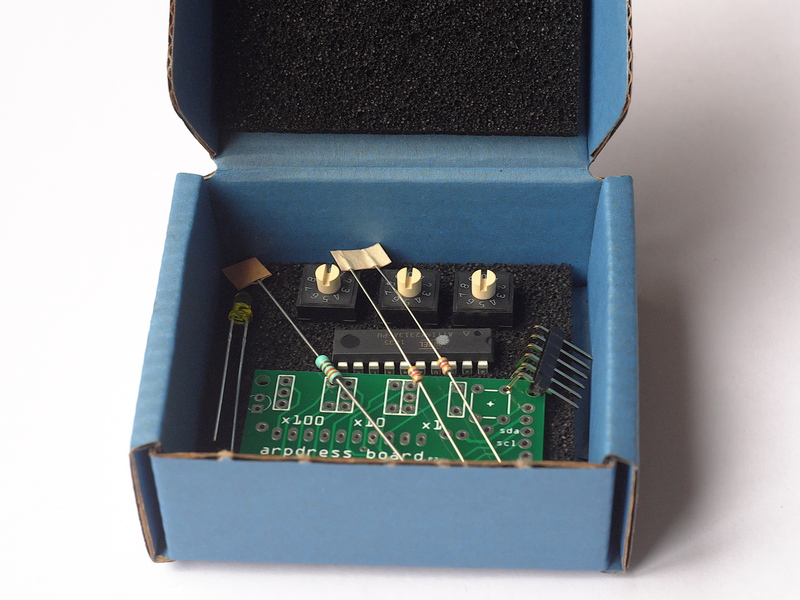 Only one new, but size: you can now optionally mount a pre-regulator that allow to supplies the board with a voltage of up to 24V. We are a little late with our transceiver but do not worry, it come ! 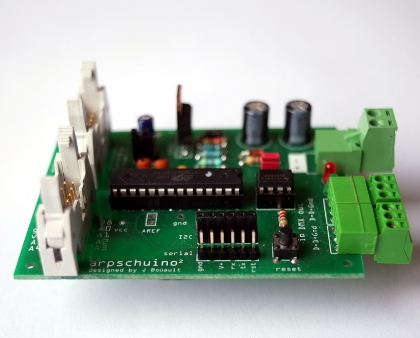 You may have seen it already on our facebook page, we are manufacturing transceivers based on arpschuino² and arpRF . We are refining and testing them a little this summer and they will be ready in september. We are thinking more and more about organizing short courses/initiations. Things are moving forward and should materialize next season. If you are interested do not hesitate to contact us: arpschuino@gmx.fr. With a new marking of the I/O, compatible with the core arpschuino , the zener diode deleted and the addition of a capacitor on the reset line of the serial port. 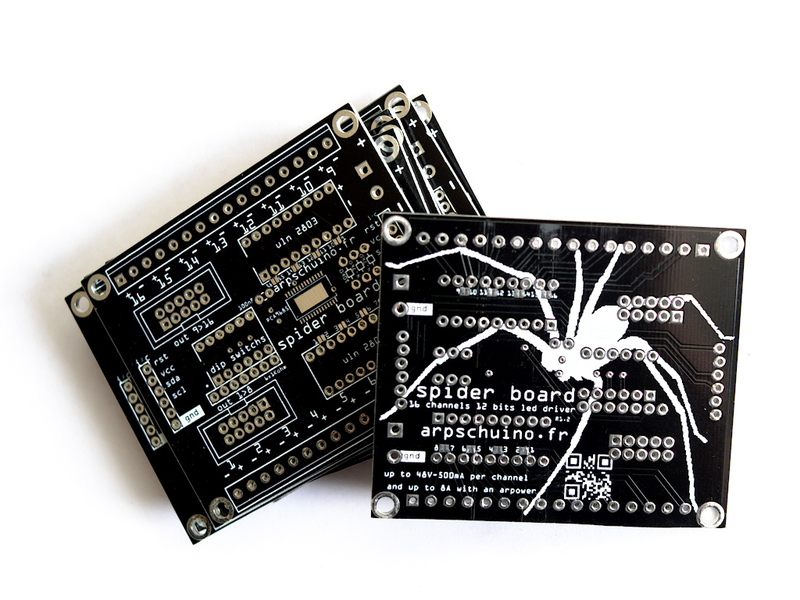 Here is the spider board ! 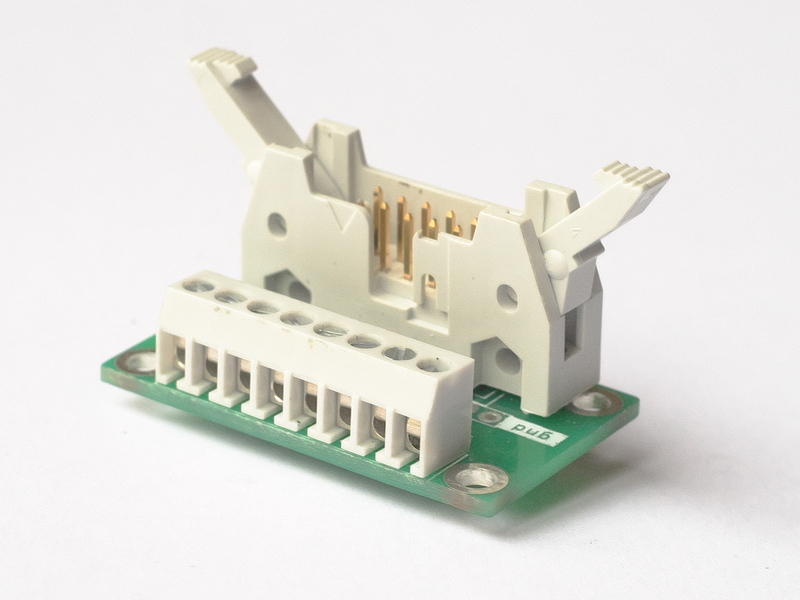 It is pluggable on the I²c port of the arpschuino, and allows a 12-bit ultra fine dimming for LED, on 16 circuits. 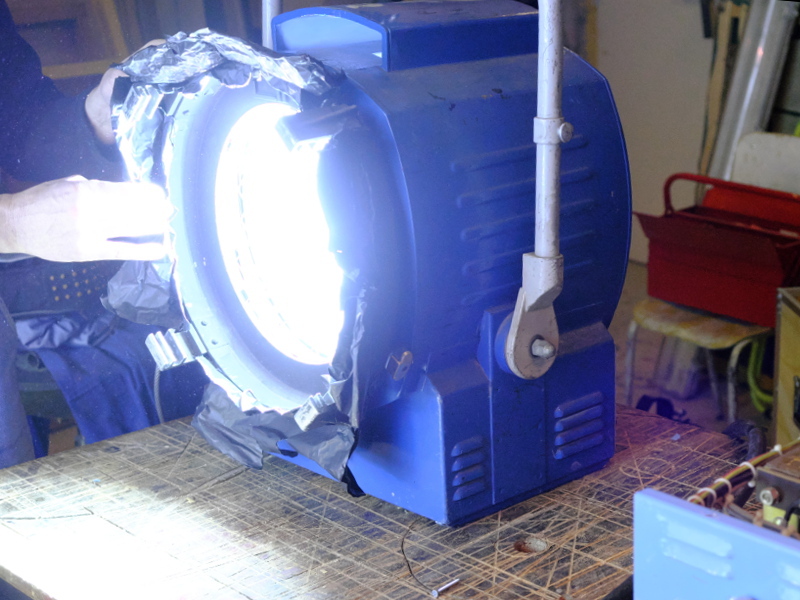 For LED, the result is much more satisfying than with 8-bit dimming. 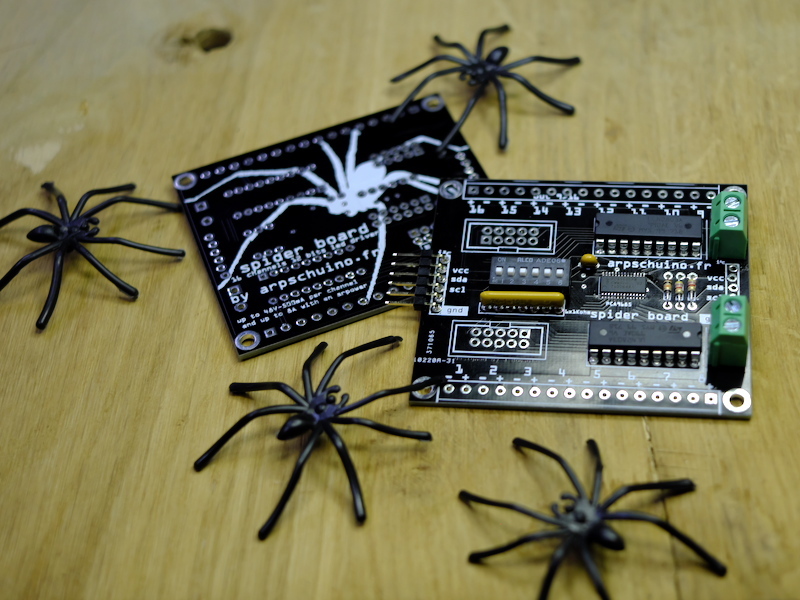 The arpschuino core has been updated with the addition of the "arpPCA9685" library for the spider board; with also a source code for saving power in the examples of the wilulu. For more information, do not hesitate to contact us: arpschuino@gmx.fr . 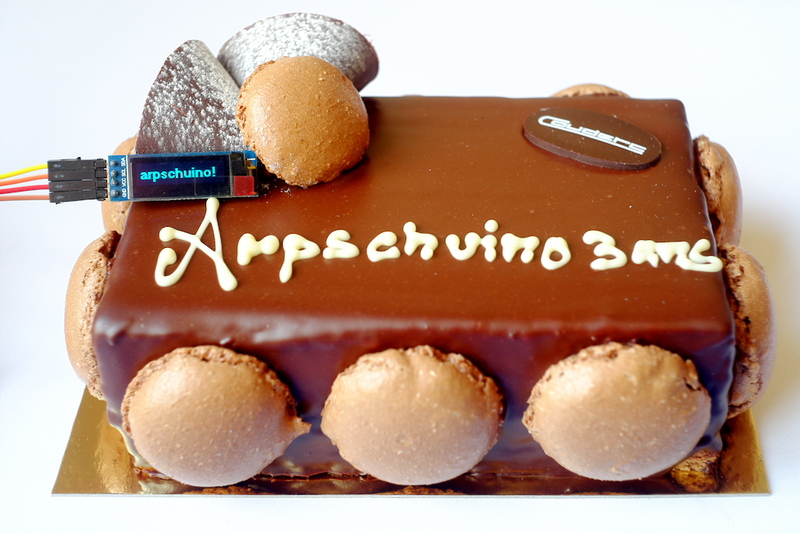 arpschuino.fr is 3 years old! A bigger cake this year because the team has grown, we are now 6. Thanks to you, arpschuino is also a community of users more and more important, thank you all for your confidence. 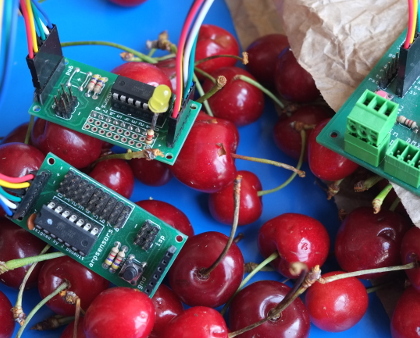 After our tutorial program an arpschuino, here is the continuation : program an arpsensor or a wilulu. Comme l'arpschuino, toutes ces cartes sont reconnues dans le core arpschuino et bénéficient d'une programmation simplifiée. Nous vous proposons aussi maintenant un programmateur ISP, parfaitement adapté à nos cartes : l'USBasp. Looking back on this year 2017. In France, you are more and more users to trust us, thank you all, it encourages us enormously! Internationals users are also welcome! We are now 5 in the team, everyone finds his place and we become more and more effective. 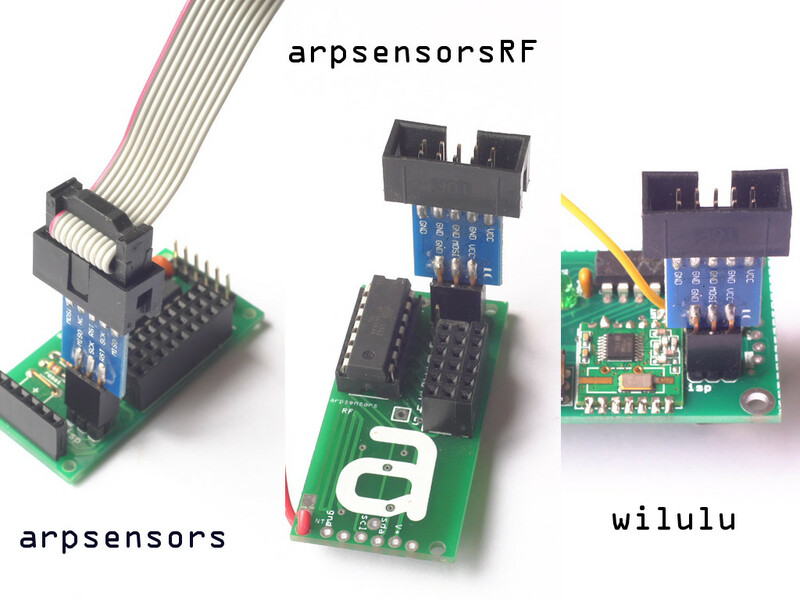 On the hardware side, 3 RF boards came this year: the arpsensorsRF, the arpRF and the wilulu. New boards are in preparation, the spider board and its ultra fine diming, will arrive in January. 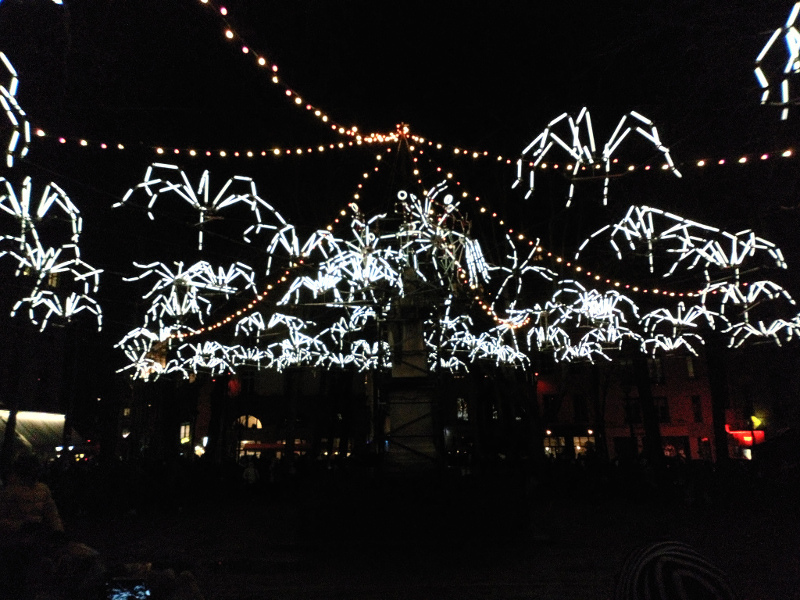 We also had great collaborations this year: with the Cirque Inextremiste (Exit), the Surnatural Orchestra (Esquif), Groupe Laps (Spider Circus) and DCA, Philippe Découflé's company, (nouvelles pièces courtes, currently at Chaillot theater). 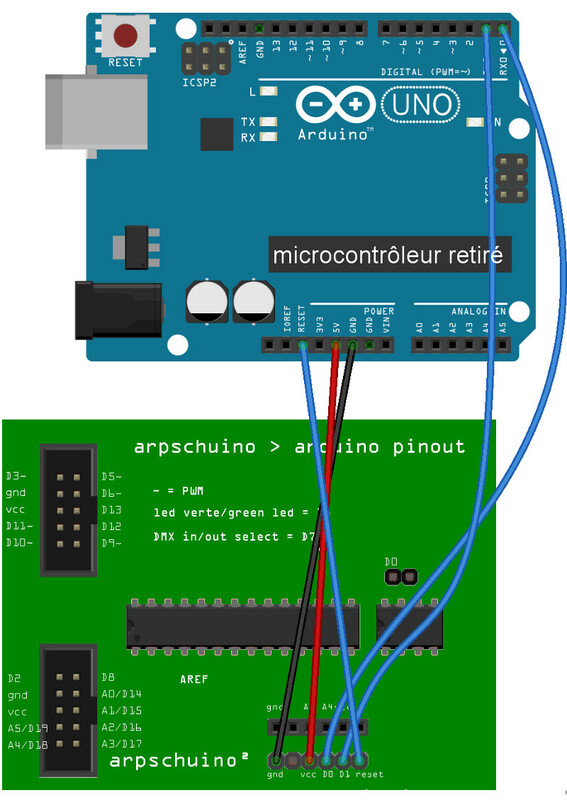 Reprogramming the arpschuino becomes much simpler with the creation of the "arpschuino core". 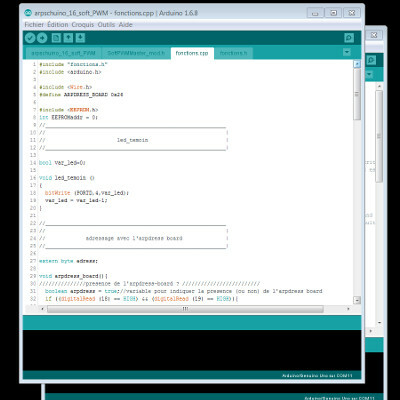 All our programmable boards are now recognized by the Arduino IDE, all libraries and source codes are automatically imported. Thanks to Anton Langhoff for his work ! The arpschuino programming tutorial has been fully reviewed. 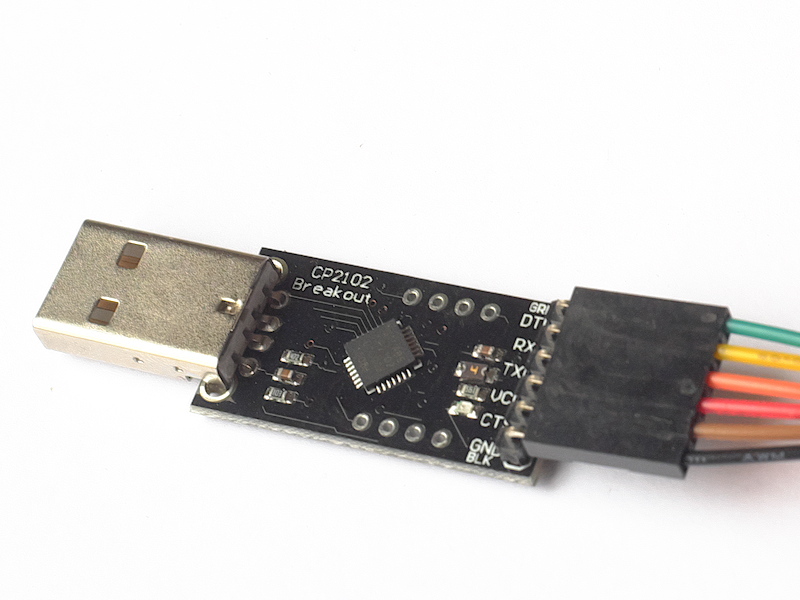 We now have a USB>serial programmer perfectly suited to arpschuino and cheap. 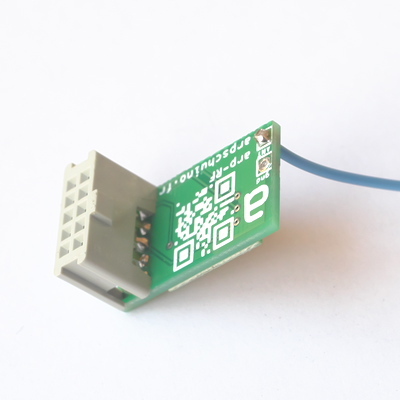 A programmer for the arpsensors , arpsensorsRF and wilulu will be available soon. 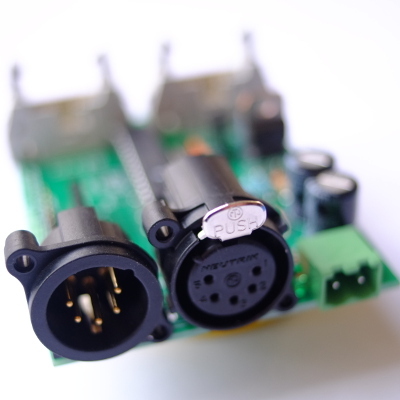 The arpRF connector is now equipped with a keying. The transmitter could be damaged as a result of bad connections, so we decided to fix it ! 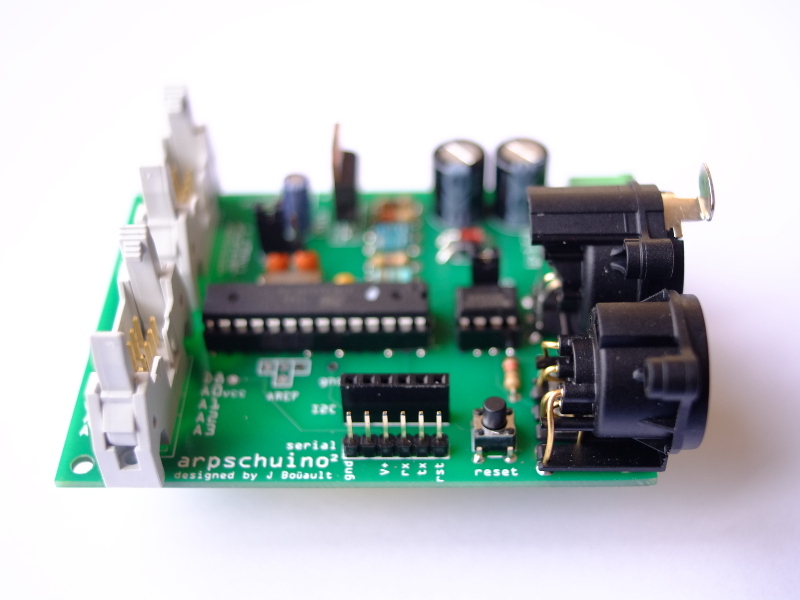 Continue anyway to put the arpschuino² jumper in 3V position before connecting the arpRF and unplug the arpRF before reprogramming if you use a programmer in 5V. The tutorial on programming is being redone and will be online soon. It is a small pocket dimmer, controlled by radio link from a computer or a light console and capable of dimming up to 8A. Already used in show, they are used in Exit from Inextremiste circus and Esquif from surnatural orchestra. 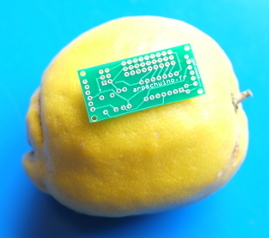 A new revision of the arpschuino², with the addition of a reset pin on the I2C port. Concretely this will allow to reset the arpschuino² remotely from the arpdress board, notably in the case of a boxing. 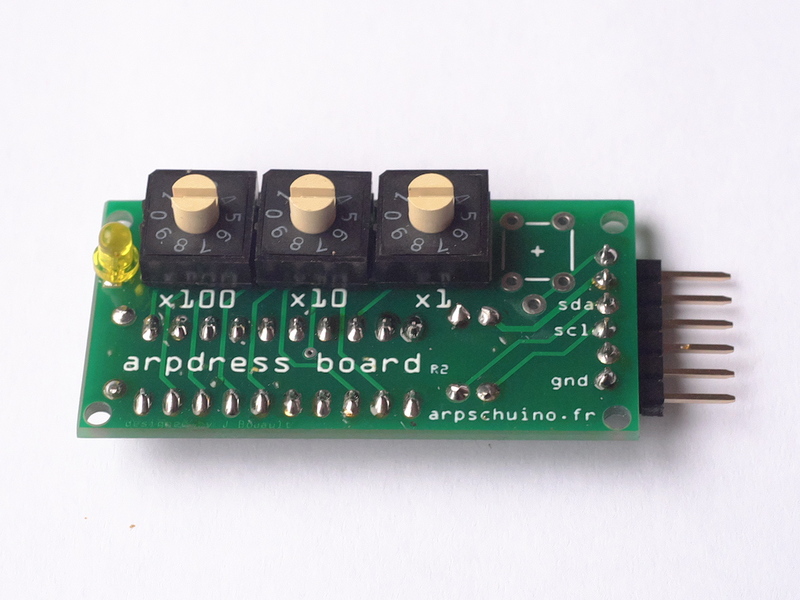 For arpdress board: new, more readable encoders. 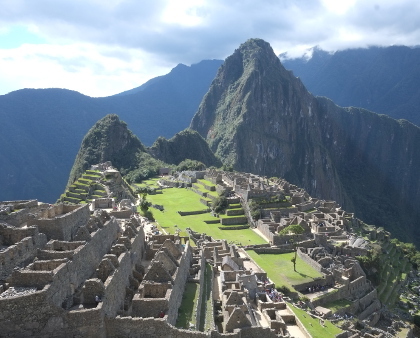 Arpschuino.fr is currently on vacation. You will be able to meet us this summer at the Aurillac festival with the Cirque Inextremiste team. Back on August 28th, have a good holiday and mind the spiders! A little tutorial for this summer ? 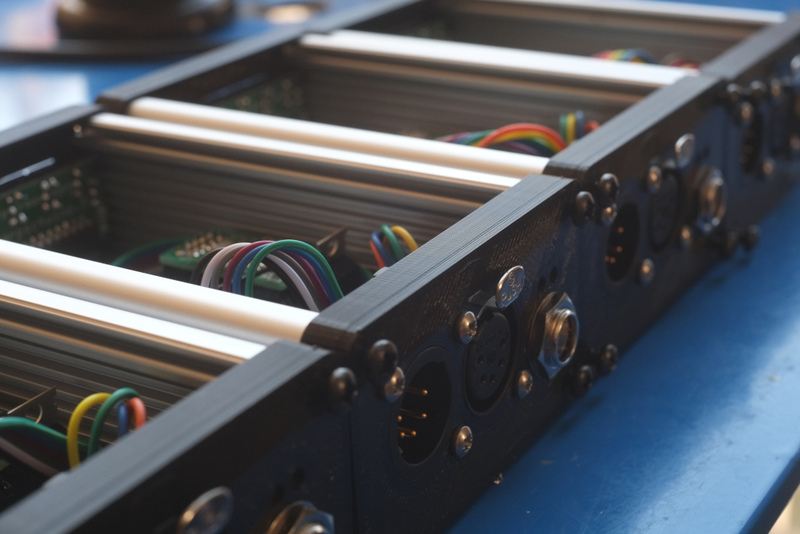 Learn how to drive a stepper motor by DMX with an arpschuino. On June 24th do not miss Exit, the last show of the Cirque Inextremiste, at the park of Sceaux in Antony (near Paris). Arpschuino will be there, we are testing the new wilulus. The opportunity to meet? 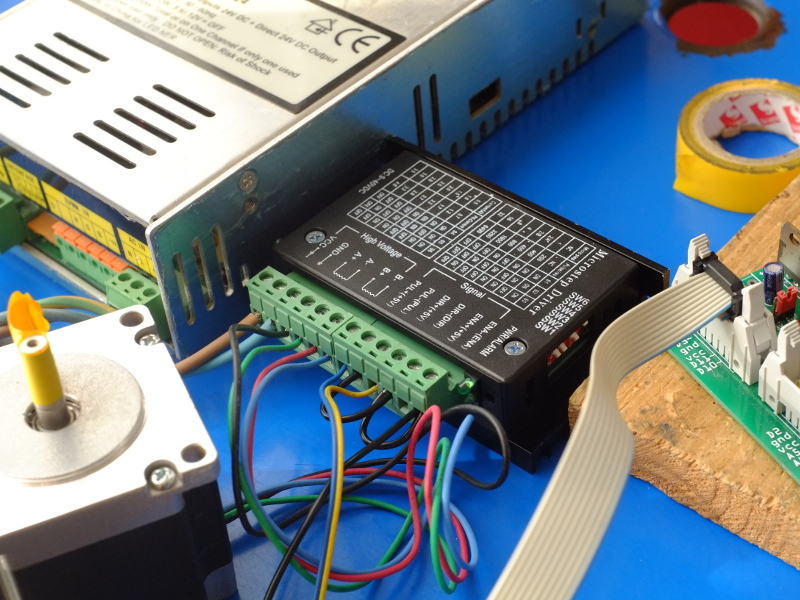 The tutorial "starting a ballast in DMX" now in english. In response to several requests, here is a new tutorial: Program an arpschuino. 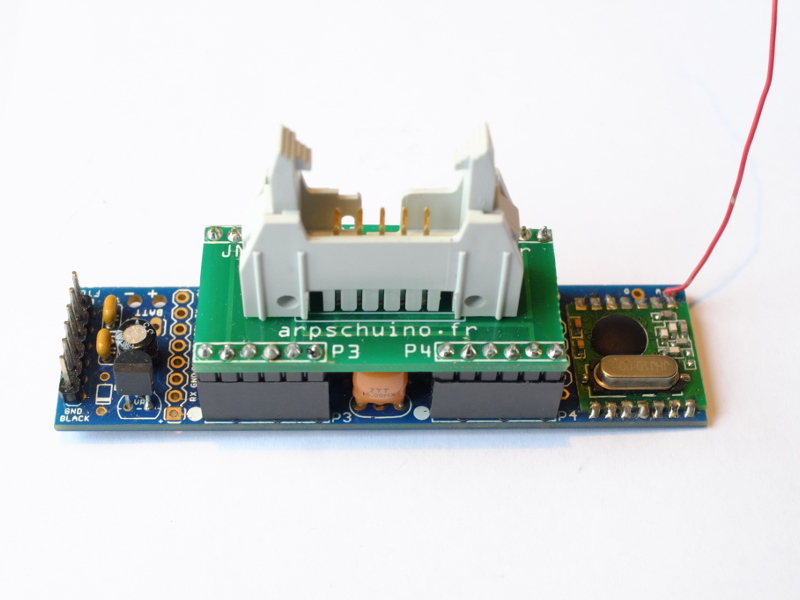 To simply reprogram the arpschuino according to your needs, using the source codes available on the download page, modifying them or writing yours. If something seems unclear, please let us know. 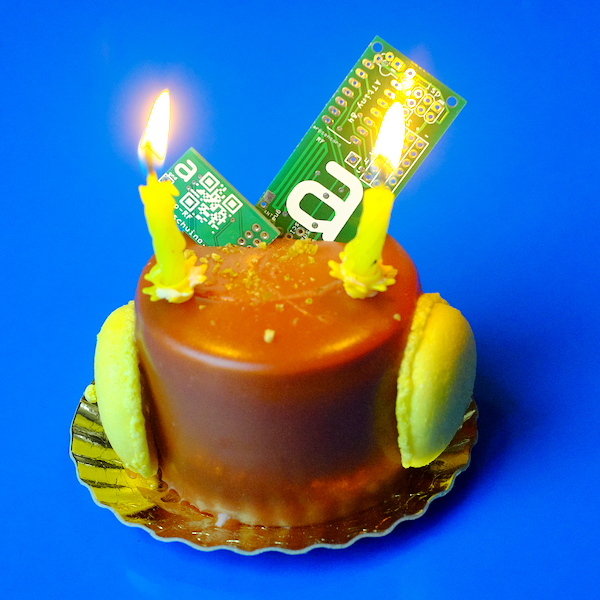 arpschuino.fr is 2 years old today. 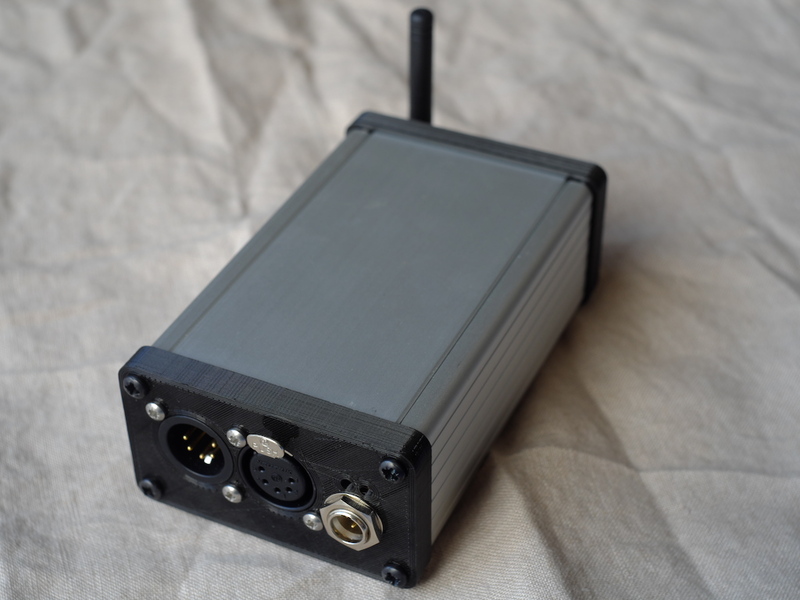 The arpsensorsRF and the arpRF, both equipped with radio module RFM12B. 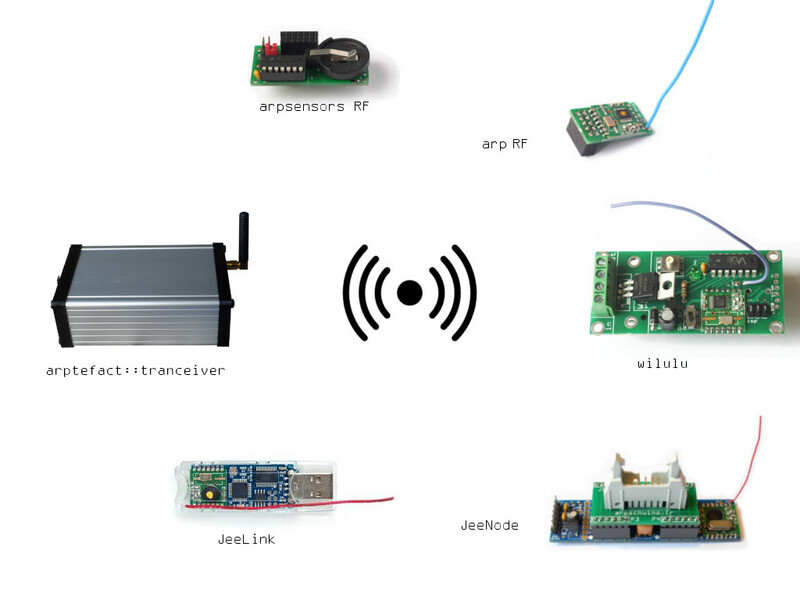 All the functions of arpsensors and arpschuino are now available with a radio link. 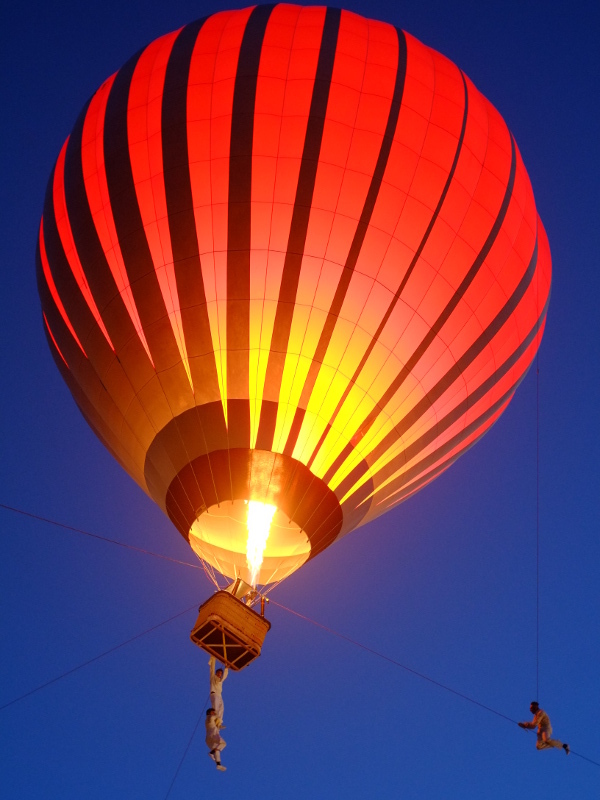 As usual, do not hesitate to contact us to tell us about your project, ask us questions. It is available in download page. If you print it, don't forget to check the actual size option. You can then use the print to point before drilling. After our first tutorial, Driving a 8 relays board by DMX, here the suite, starting a ballast in DMX, it's a practical application. Thanks to Philippe Bouttier from Surnatural Orchestra. The website has been redesigned, with now drop-down menus for easier navigation. 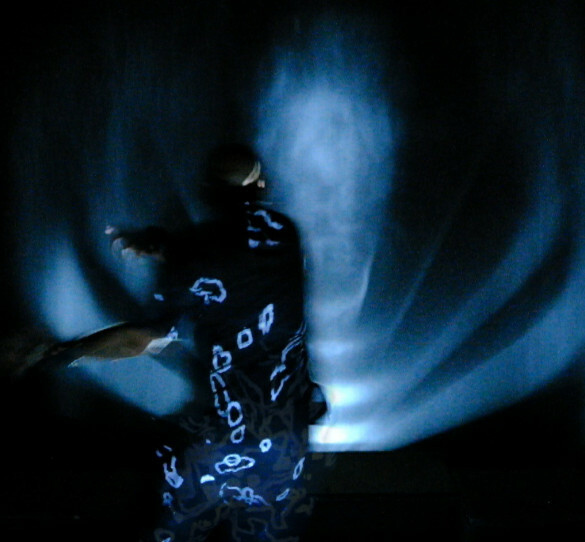 In the example section you can discover the last show of the company 1-0-1: Haraka. A new links page has been created, and a new FAQ. 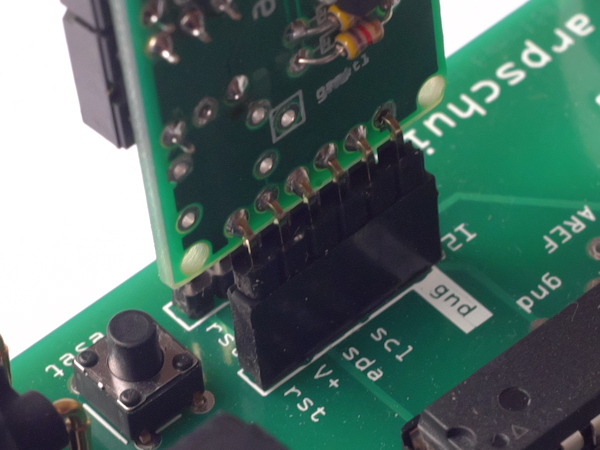 here it is, our first tutorial, Driving a 8 relays board by DMX, is online. 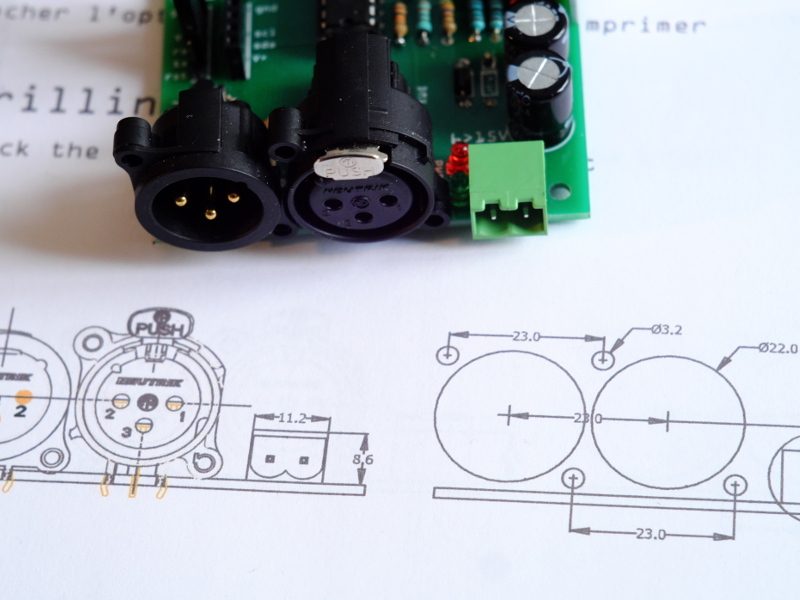 The new PCB for the arpdress board has been made to mount the rotary encoders in the opposite side of the componants. It will be easier to put it on a box, we can now also deport the reset button of the arpschuino. After being hosted for a year and a half by the company 1-0-1 (pschuuu, perturbations), arpschuino is now an association "law 1901", the french denomination for non profit association. 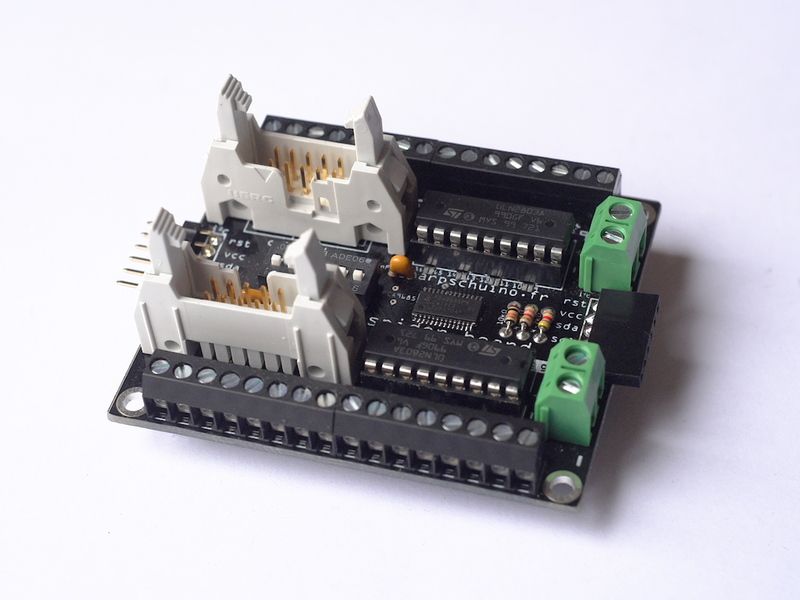 The arp>breadboard adapter allow to connect arpschuino (or apower), not only to a breadboard, but with many type of devices. 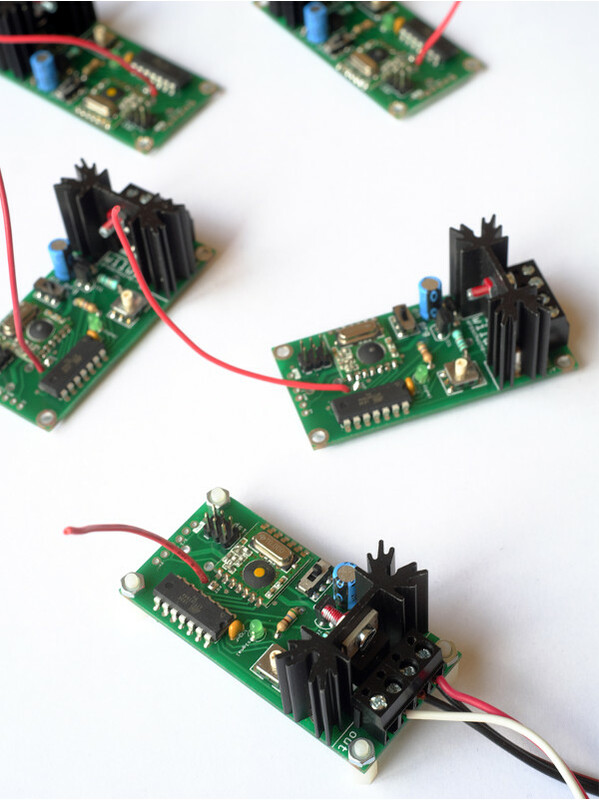 A small board which should enjoy hackers and prototypes makers ! 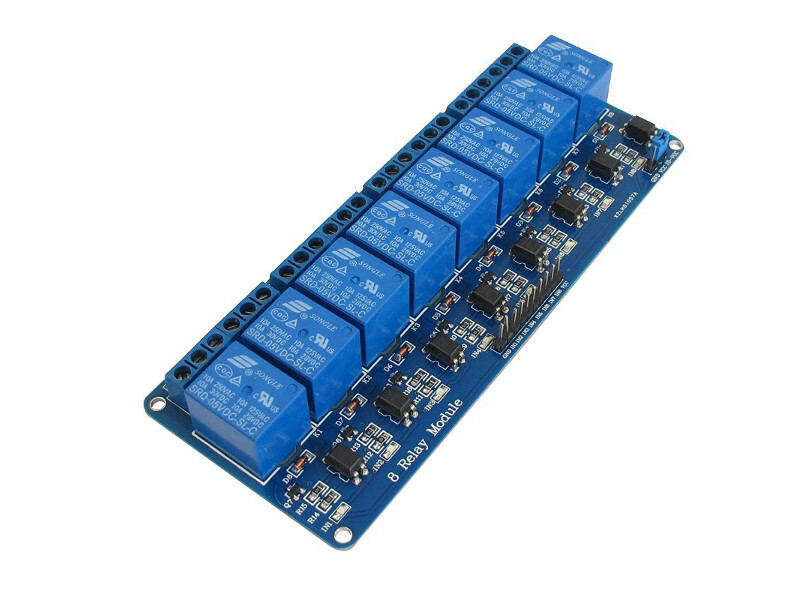 It allow, for example, to drive a 8 relays board in DMX, with arpschuino. May be an opportunity to do a little tutorial on it? If you have ideas for tutorials, please submit ! 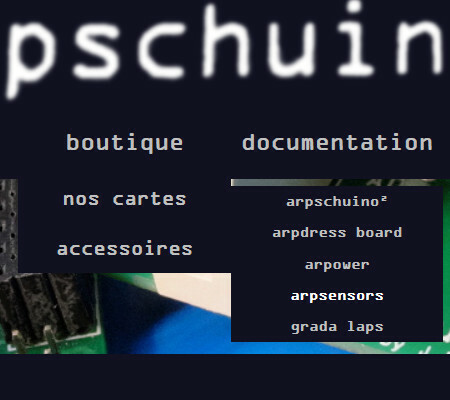 Arpschuino.fr is now opens and resumes its activities. I will be in Avignon from 4 to 8 July. Perhaps the opportunity to meet? The website will be closed from 22 July to 13 August. Happy holidays! The features do not change but the connectors are flat now, the fixing holes have been enlarged and the serigraphy have been improved. the arpower's assembly guide have been revised for the occasion. The features do not change but the functions (for signal LED and adressing) are now in separate files. This should improve the readability of source code and allow, for those who want to reprogram the arpschuino, to edit more easily. XLR can come in 3 or 5 pins. 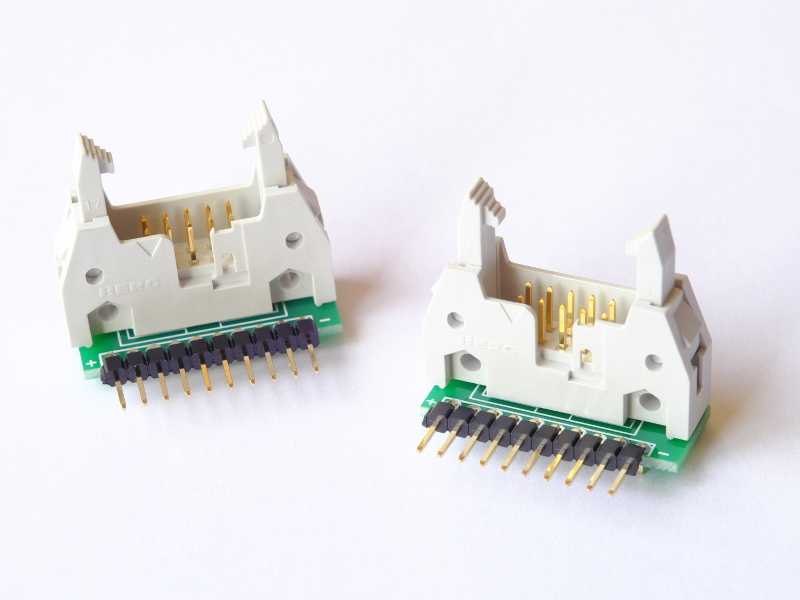 Classicals green connectors are still available. The new PCB allows to choose one of these three options. The metalics ones are still available. thank to Eric Julou for his decisive help. 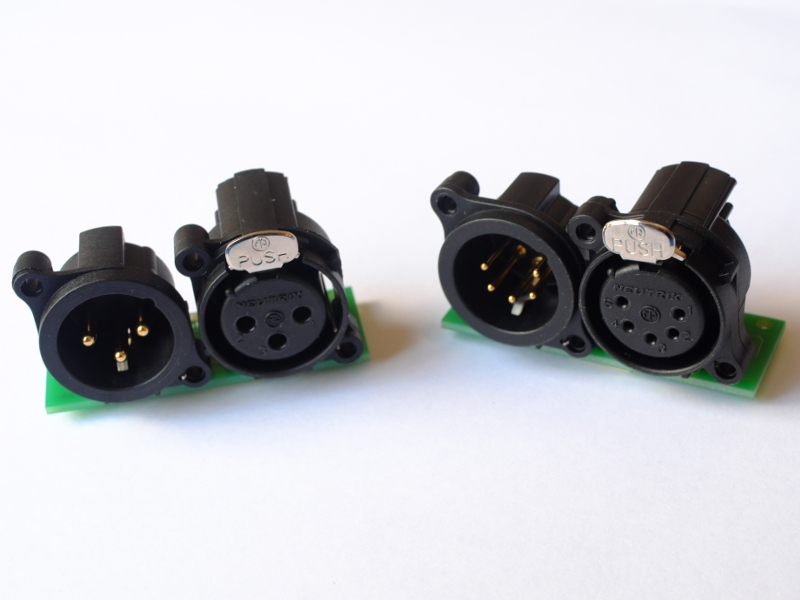 The JeeNode>arpower adapter plugs directly into the JeeNode to provide the control of the 8 arpower 's outputs (2 or 8 amps!) ..
Several example sketchs are provided and we are always there to answer your questions on arpschuino@gmx.fr. 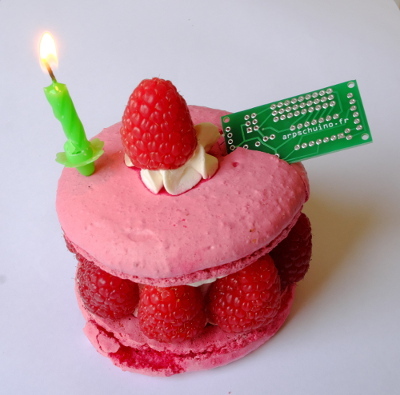 There's just one year, arpschuino.fr appeared on the web. 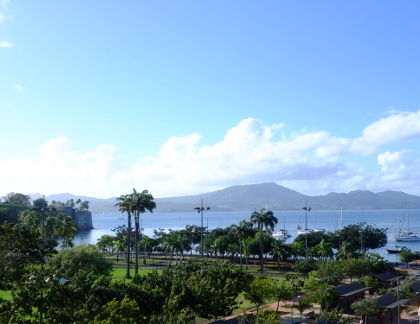 During the pschuuu tour on the Caribbean, we provided a training in Fort de France. 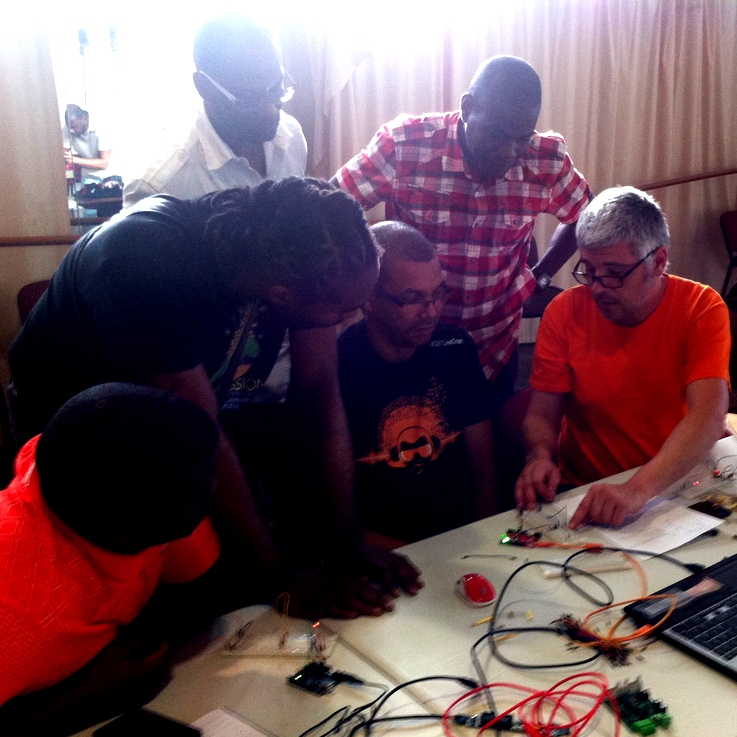 6 days have been dedicated to "Arduino and electronics for stage", provided by Jacques Boüault. 4 other days was dedicated to the VVVV software, provided by Christoph Guillermet. I take this opportunity to greet all parrticipants, and to thank them for their attention, motivation and patience. This is the new version of arpschuino, it replaces the "classic" arpschuino while remaining fully compatible. 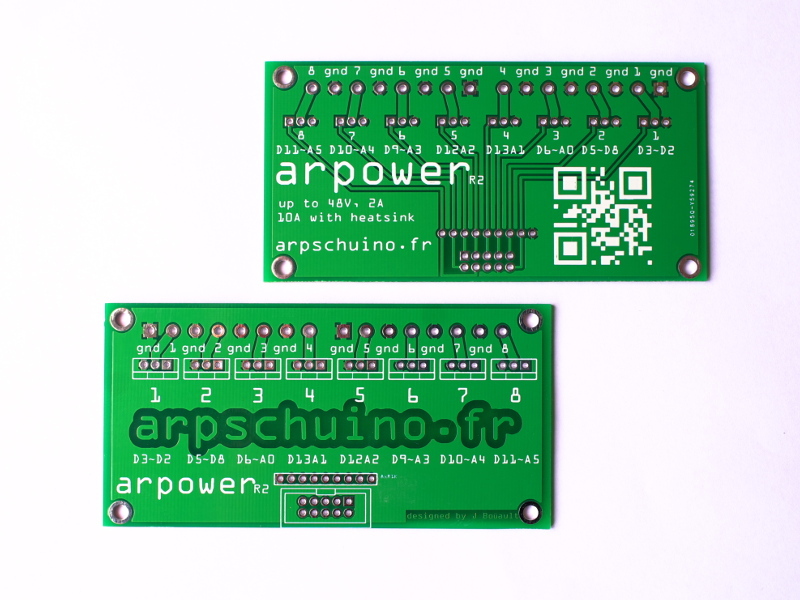 Devices can be powered now more easily by arpschuino², in 5V or 3.3V. It will allow many evolutions for exemple with an RF link in preparation (to be continued...). Other improvements have been made, all the details are here. Good news, the arpschuino² remains at the same price as the arpschuino ! 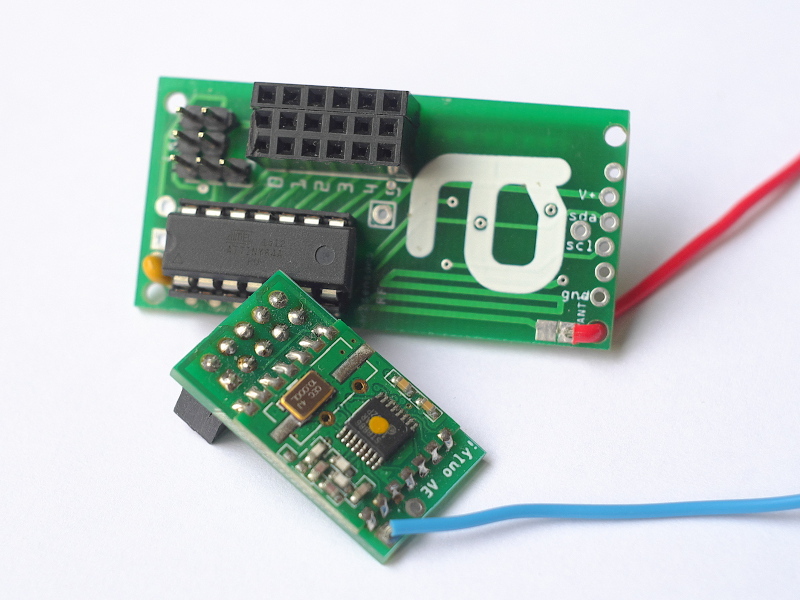 This small Attiny84 based board receives and processes (smoothing), data from analog sensors. A example code of reception and monitoring on the serial port is available on the downloads page. other examples are coming. 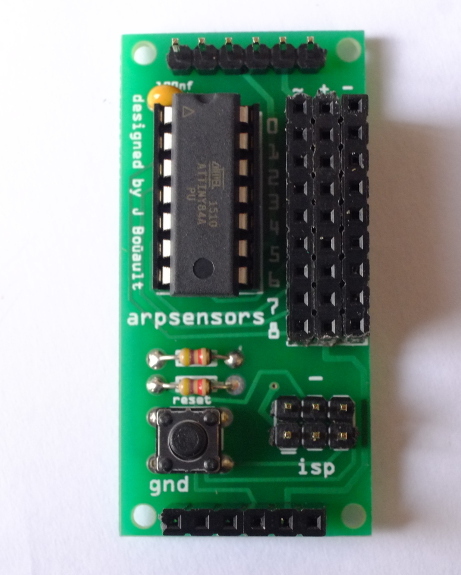 The arpsensors is reprogramable via its ISP. 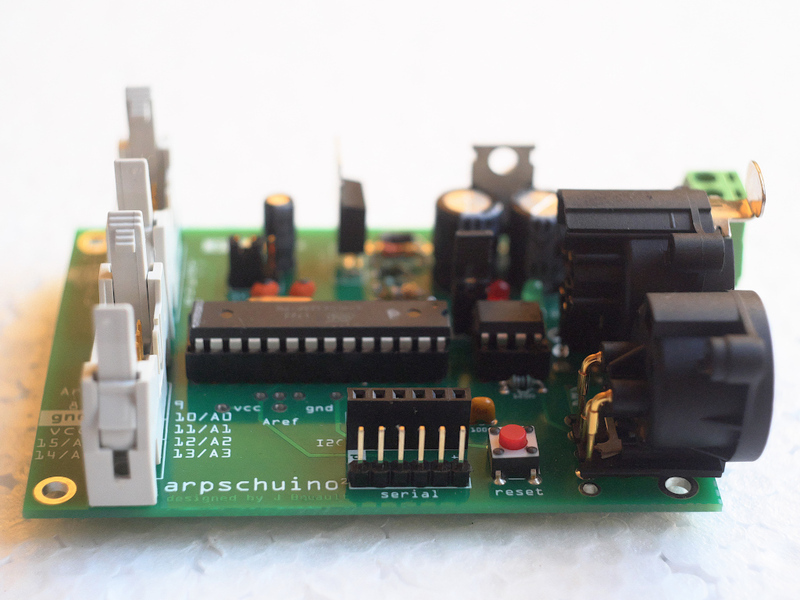 The arpschuino user guide is now(at last !) online. After many requests, we now offer small amounts of thermal paste (1g), it is enough to assemble an arpower. Here. Pschuuu on stage again, all the dates here. End of holidays for us ! 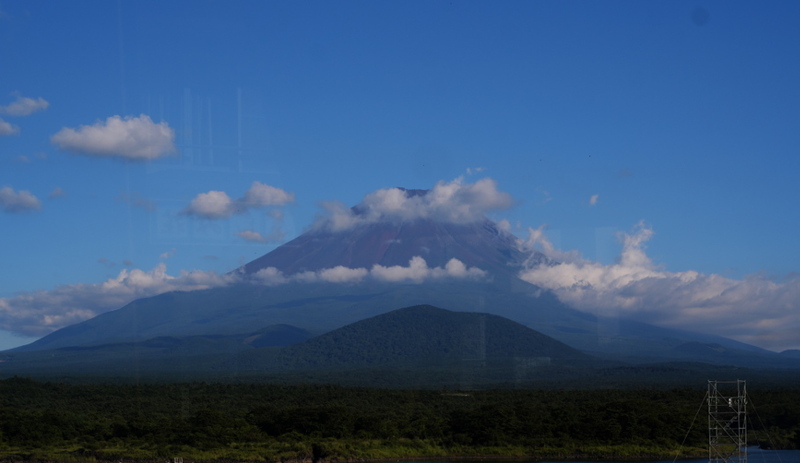 arpschuino.fr resumes activitées and remains open during August. arpschuino.fr takes its Holiday in July. If you want to order a card that is until June 30, or from 1 August. An user guide for the grada laps in French and in English. The assembly guide of arpschuino is now bilingual . 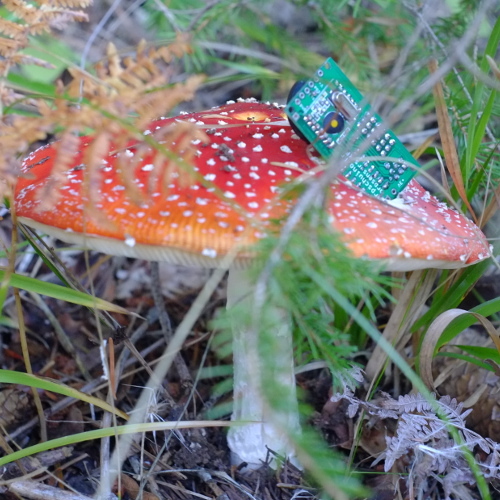 L'idée est de est de relier divers capteurs analogiques à un arpschuino ou autre (arduino, jeeNode...). 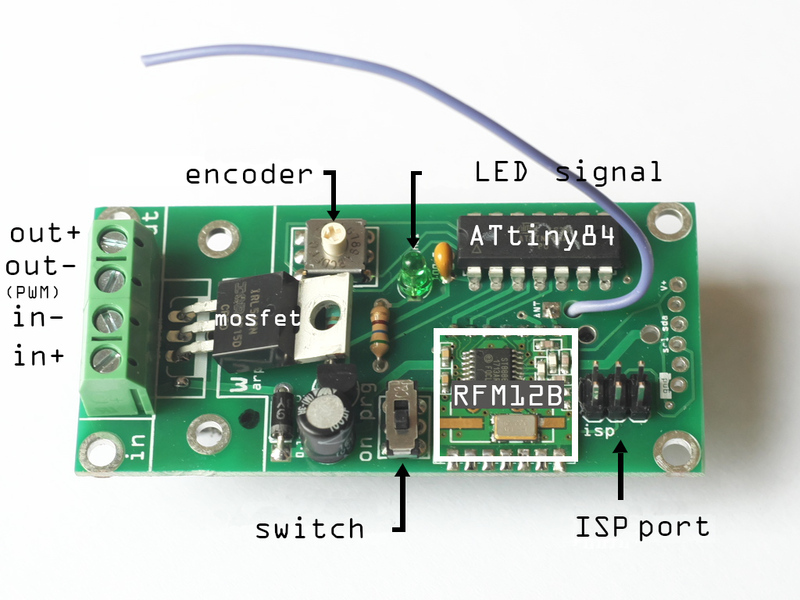 Il embarque un petit microcontrôleur (Attiny84) chargé d'un pré-traitement, d'un lissage des données et de renvoyer les informations via une liaison I2C. Il est actuellement en phase de tests dans le cadre du travail pour Perturbation, le prochain spectacle de la compagnie 1-0-1 (Pschuuu!). En avant première une vidéo des dernieres avancées, avec le grand jet piloté par divers capteur sur le corps. Si ça vous intéresse et si vous voulez plus d'infos, n'hésitez pas à nous écrire : arpschuino@gmx.fr . 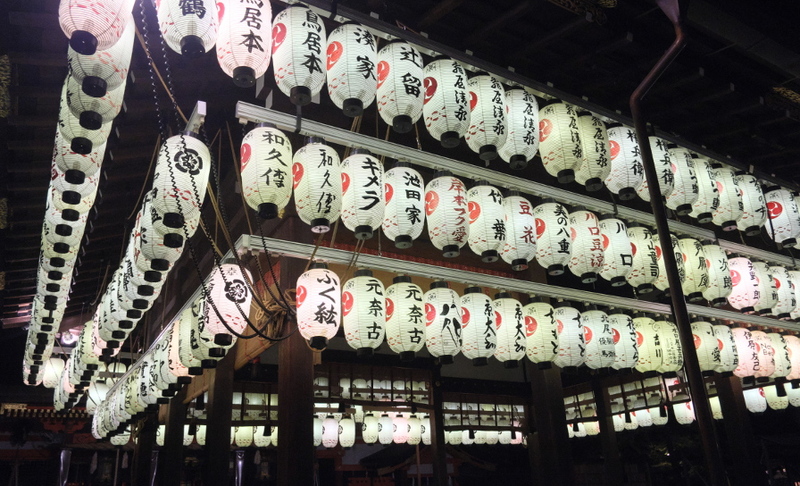 This website now has an English version. Please if it is your native langage be indulgent, there probably still many errors and approximations. If you see some errors please let us know by email (arpschuino@gmx.fr). Pschuuu reprend la route ! Si vous êtes en Bretagne, Normandie, Ile de France ou en région lyonnaise, ne ratez pas l'occasion. En particulier, le 2 avril, en avant première, une étape de travail de la forme performance en live avec le musicien Fred Duzan. On espère vous y voir, faites vous connaitre. 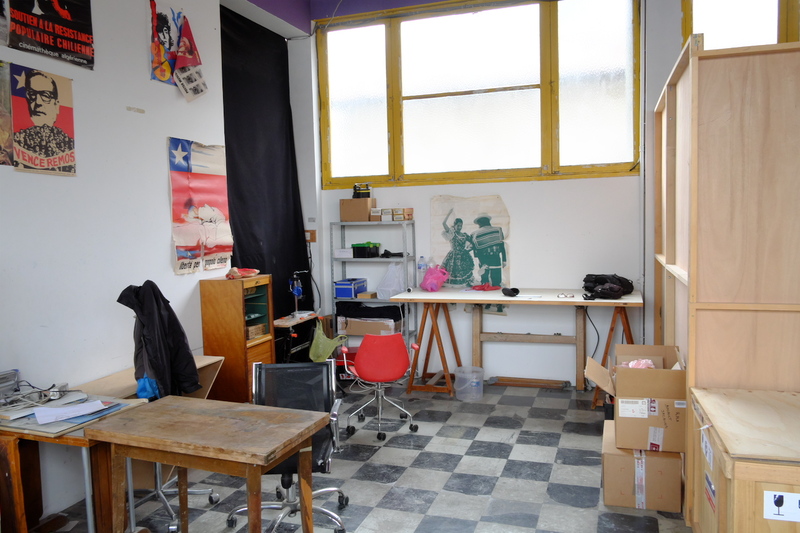 le site arpschuino.fr fait son arrivée sur la toile. Il est encore en construction et encore loin d'être fonctionnel. Le matériel que nous présentons est lui en revanche parfaitement fonctionnel! Si vous êtes intéressé n'hésitez pas à nous contacter par mail pour l'instant. N'hésitez pas non plus à nous écrire pour nous poser des questions, nous faire part de vos commentaires ou de vos demandes.